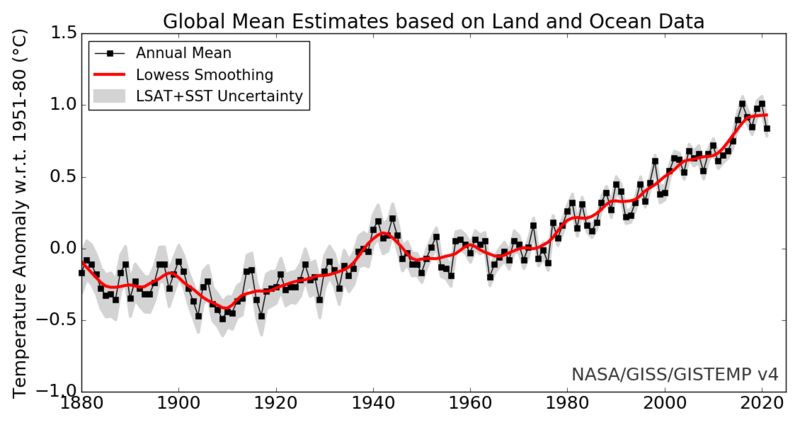 Vox has a great video that explains how loss of sea ice in the arctic is affecting our weather. Peter Sinclair (https://climatecrocks.com/) provides excellent video interviews with climate scientists. Here’s an interview with Asa Rennermalm of Rutgers. This animated gif shows changes in annual mean temperature at 12 East Coast USA airports that had continuous daily data for the 1950 – 2015 period. 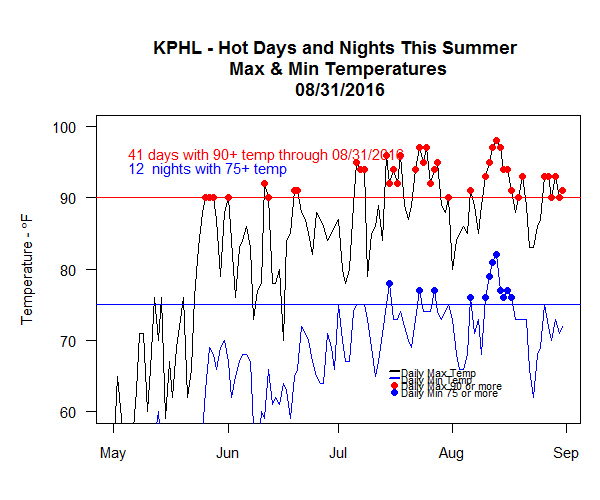 The data was retrieved from Weather Underground using the R weatherData package . 11 of the 12 airports (all but JAX) show statistically significant increases in annual mean temperatures. Philadelphia is not the only metropolitan area with creek trash problems, the Anacostia River in Maryland and Washington DC also has a serious creek trash problem. The Anacostia Watershed Society and the DC Department of the Environment have conducted a number of studies of creek trash, including a very interesting study of the Nash Run (link). The project investigator, Masaya Maeda, measured the trash collected in a custom built trash trap each month between March, 2009 and September, 2010. He found an interesting relationship between the hours per month of intense rainfall (>= 0.3 inches/hr) and quantity of trash captured by the trap. 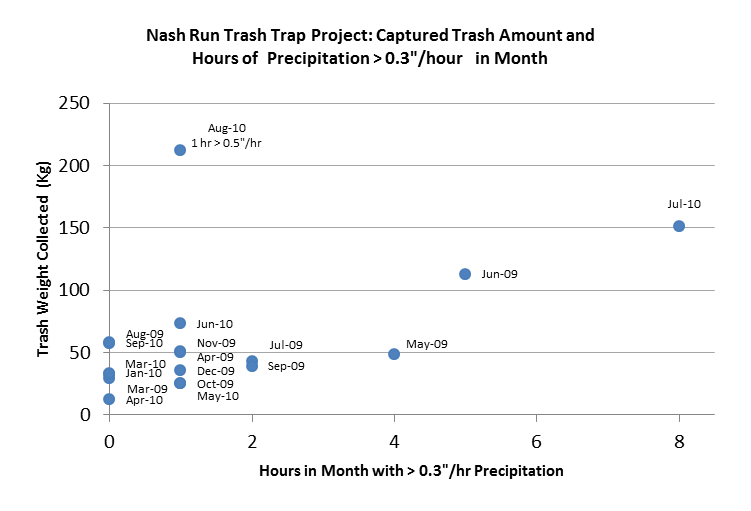 This chart summarizes the Nash Run trash data, hours of 0.3 or more inches per hour precipitation in each month versus the quantity of trash collected. 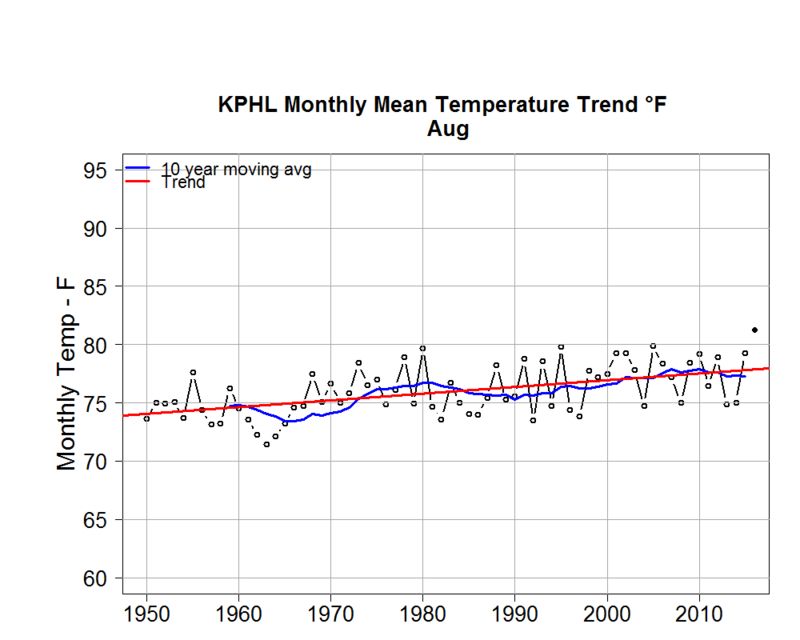 Take a close look at the Aug, 2010 data point, it looks like an outlier. It turns out that there was a 0.5 inches/hour, a pretty intense storm that partially explains the specific situation in that month. This Anacostia Watershed Society observation may be an important factor in Philadelphia Water Department’s Green City, Clean Waters Program (GC,CW). 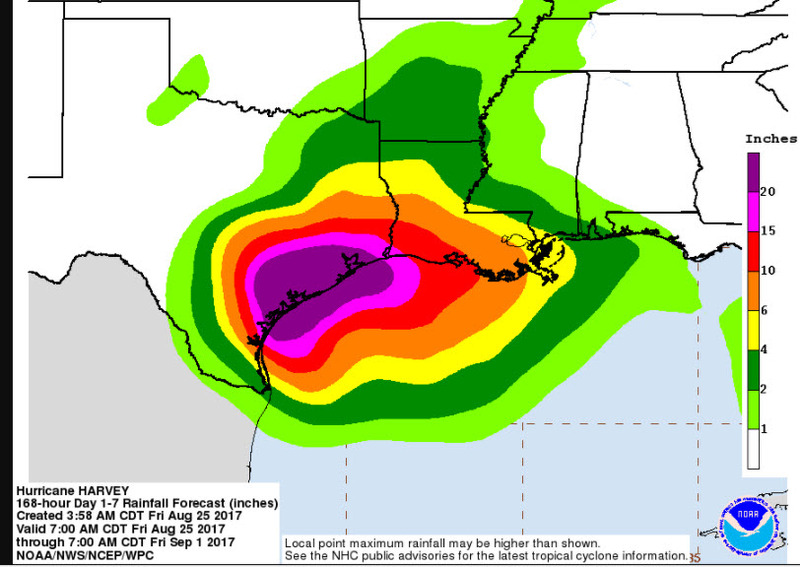 The GC,CW program is focused on the frequent 1 inch or less storm events. This may not be helpful in controlling trash carried to Philadelphia creeks during the high intensity storms that may be carrying most street litter to Philadelphia creeks. 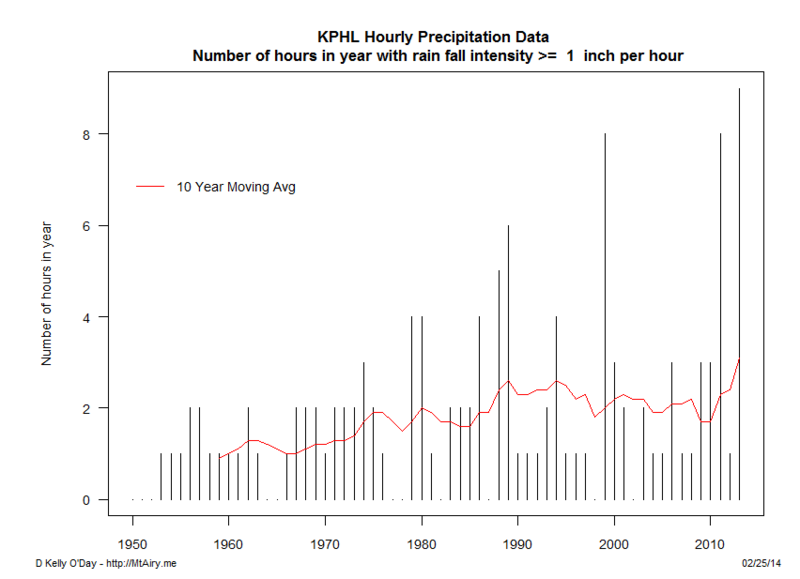 Here is a plot of the number of hours per year between 1950 to 2013 when the rainfall rate was greater than or equal to 0.3 inches/hour at Philadelphia International Airport. 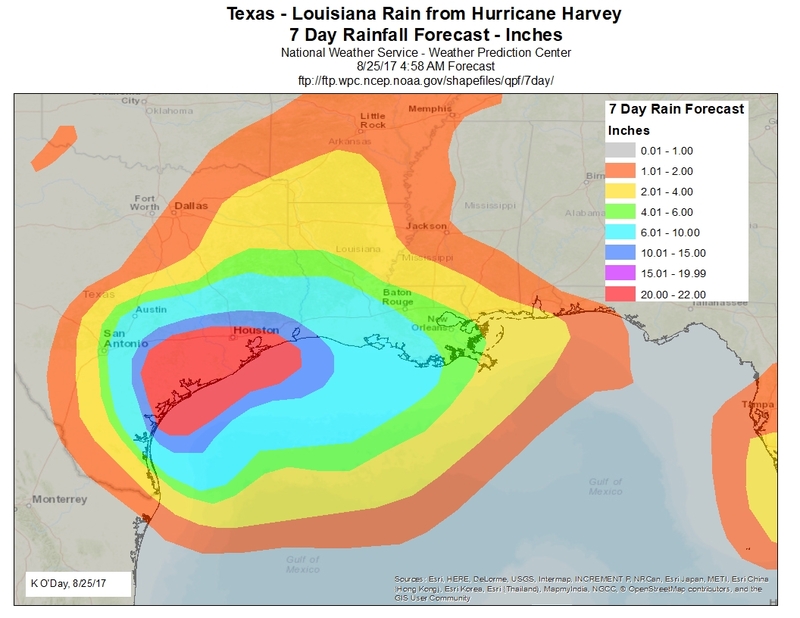 The number of hours of rain intensity >= 0.3 inches per hour ranges from a low of 7 to a high of 49 hours per year. 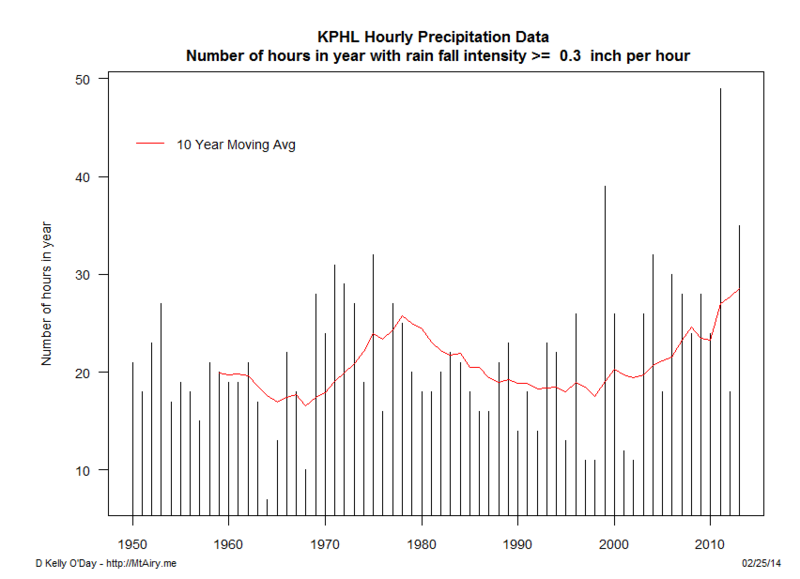 If we look at the trend for intensities over 1 inch per hour, there seems to be a rising trend. 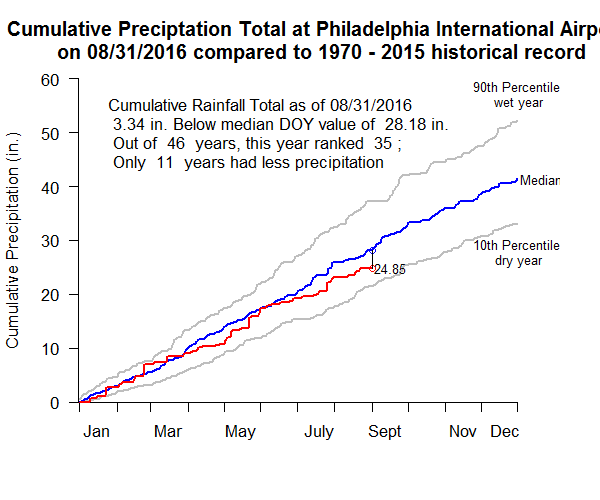 PWD has not conducted this type of detailed trash load by rainfall event study so we don’t have comparable rainfall intensity – trash load data for Philadelphia. We do know that we have significant trash loads in the Tookany Tacony Creek and we can see that the frequency of very intense rain storms ( >= 1 inch per hour) is increasing. We clearly need a street litter – creek trash study like those conducted by the Washington DC and the Anacostia Watershed Society to understand and address Philadelphia’s creek trash problem.